It's never too early to have fun with flowers! 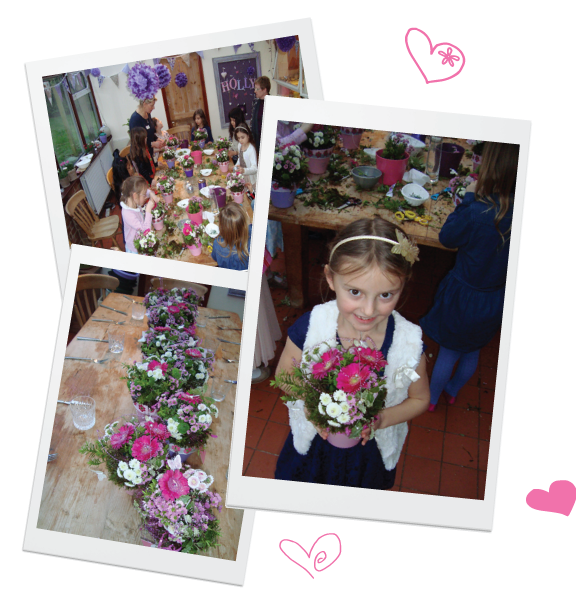 A children's floral party to celebrate a birthday, either at your home or at Flowers From The Barn, where children can create a fun floral display, which they can take home and enjoy. If you have a children's birthday party to plan, we can provide beautiful flowers, bright containers, decorations and lots of glitter and sparkle! For ages 7 years and upwards. All materials and tuition included. “I liked my party because the flowers were very pretty and I loved the different coloured glitter. All my friends were very excited as they had never been to a flower party before.” Holly age 7.